Source: De Pue, John F. Military Collector and Historian. Vol 57, Issue 4. Pg.180. 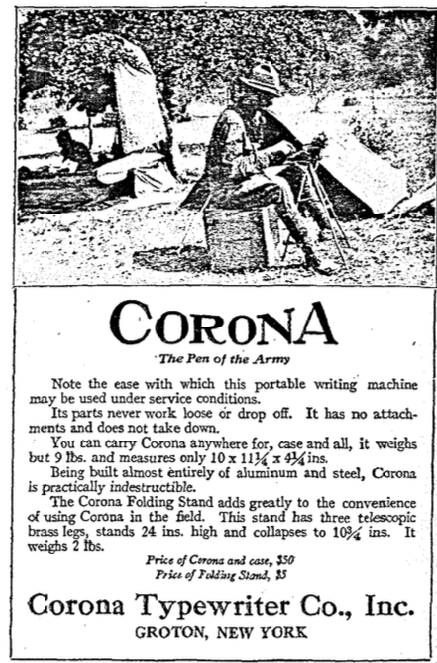 World War 1 92nd Division Artillery Corona “3” Typewriter.